adidas’ marketing pitch: Stable and supportive shoe made with breathable mesh. Upper: Closed mesh, fused laminates, molded Urethane. Medial midfoot strap. 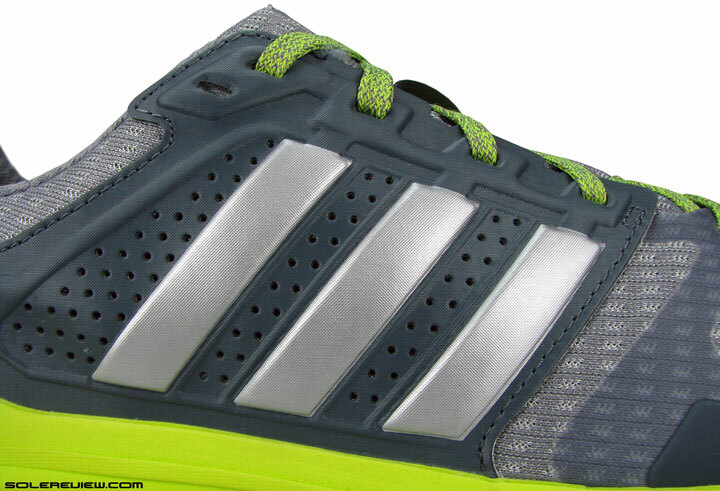 Midsole: Boost foam, Stableframe EVA support under the arch, plastic midfoot shank. 10 mm heel drop. 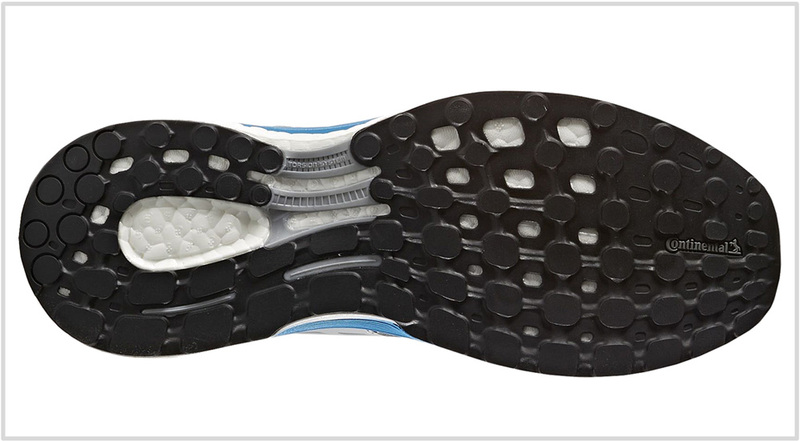 Outsole: Hard Continental rubber outsole from heel to toe. The Sequence 9 rides the same as the Sequence 8, and the updated upper is much softer. Overall, the shoe retains its excellent supportive ride behavior, coupled with a comfortable upper. Drastic reduction in reflectivity, the new Continental outsole is less durable than the previous design. Life has never been the same for adidas after the introduction of the Boost cushioning platform. 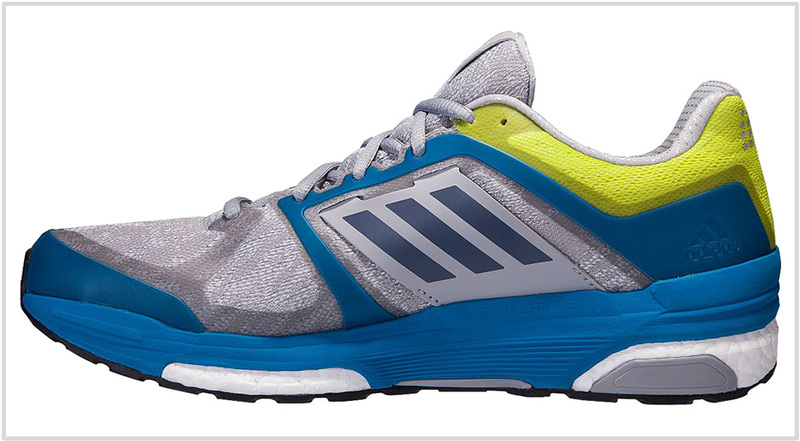 Beginning with the Energy Boost, adidas’ hero tech has found its way into many models, within running and beyond. It’s helped adidas go from a laggard in the footwear industry to a leadership position in many footwear categories. Their sales have improved, the runners are happy, and for good measure, Wall Street is pleased too. Most adidas Boost products are worthy of all that praise and attention. The Boost foam just does everything so well; it blends soft cushioning and rebound character like none other, and the polyurethane based material is immune to some of the ills which plague regular EVA midsoles. For example, it is extremely durable and resists the effects of inclement weather. Who knew that the humble Polyurethane – the choice material of 80’s running shoes – would make such a grand comeback? 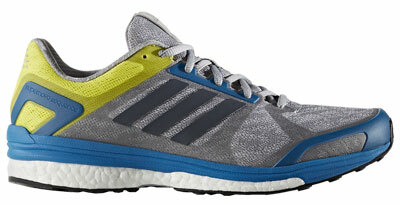 In the past few years, adidas has introduced the Boost in a number of running shoe variations. At the very top are the Energy and Ultra Boost with their large volume midsoles. On the lighter and faster end of the spectrum, there’s friendly competition between the adios, Boston and the Takumi Boost. Somewhere in between is the Supernova Glide and the Sequence Boost. These models bridge the gap between plush and minimal, bringing together a well-rounded feature set. You can use these midweights on most surfaces, right from paved roads to synthetic tracks, and even on light, non-technical trails. The wide range of utility also extends to workout types. You can throw everything from a daily run to the occasional race day at these shoes, and they’ll emerge unscathed. 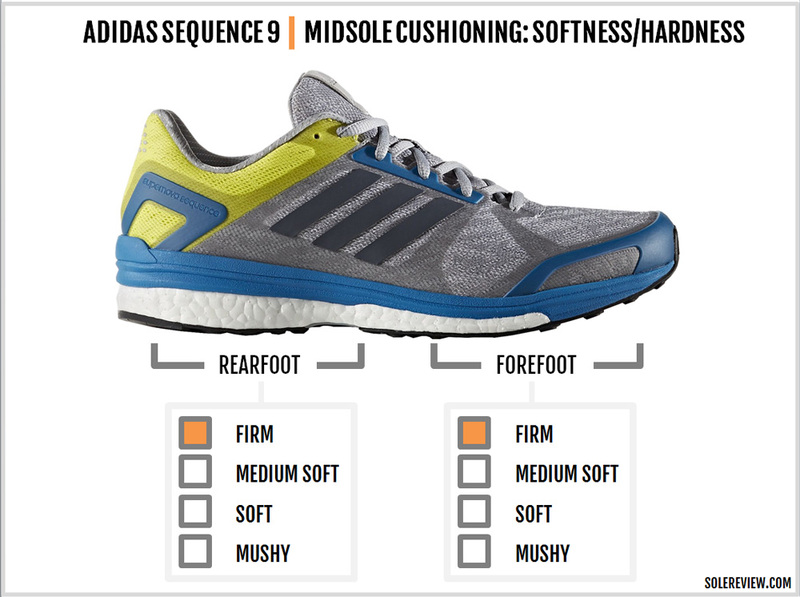 The Glide 8 Boost, as you know, is currently the middle ground for adidas’ neutral cushioning category. And what’s a neutral shoe without its ‘stability’ counterpart? That’s where the Sequence Boost 9 comes in. While it is the support version of the Glide Boost and does everything it claims to do, you should know whether there’s a case for you to buy the Sequence and not the Glide instead. We say this because the Sequence 9 happens to be one of the firmest Boost shoes. This is the result of using a firmer ‘Stableframe’ EVA foam component which not only supports the foot under the medial side, but is overlaid as a separate layer over the Boost foam. In short, know what you’re buying. 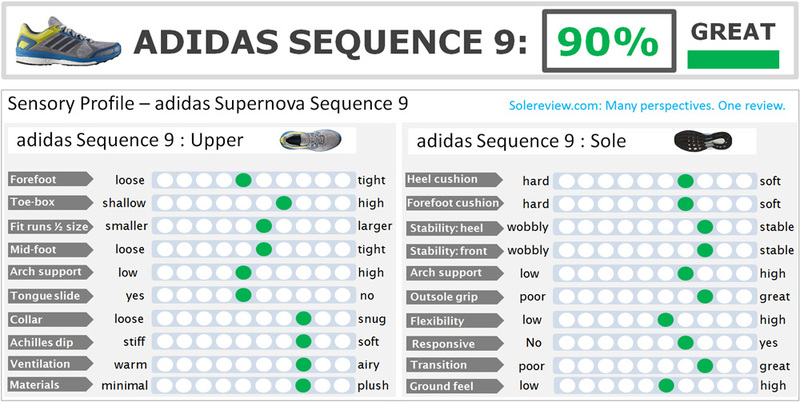 The Sequence 9 still has adequate cushioning but in a much firmer avatar. If you want more cushioning, then the neutral Glide Boost is the way to go. It might not be explicitly called out as a support shoe, but the Glide Boost’s ride is still very supportive for its class. The adidas Sequence 9 Boost competes with its peers in the ‘firm-support’ playground. In this running shoe category, brands mix some form of support feature (medial post and its ilk) with decent amounts of cushioning. Some models, such as the Asics GT 2000 and the Saucony Guide, feature traditional medial posts – the firm piece of foam wedged under the arch side of the midsole. Others, like the Mizuno Wave Inspire and the Nike Lunarglide, use variation in their cushioning technology as means to deliver the motion-control result. All shoes in this category claim to reduce foot roll, and given the design differences, the final ride experience will vary. 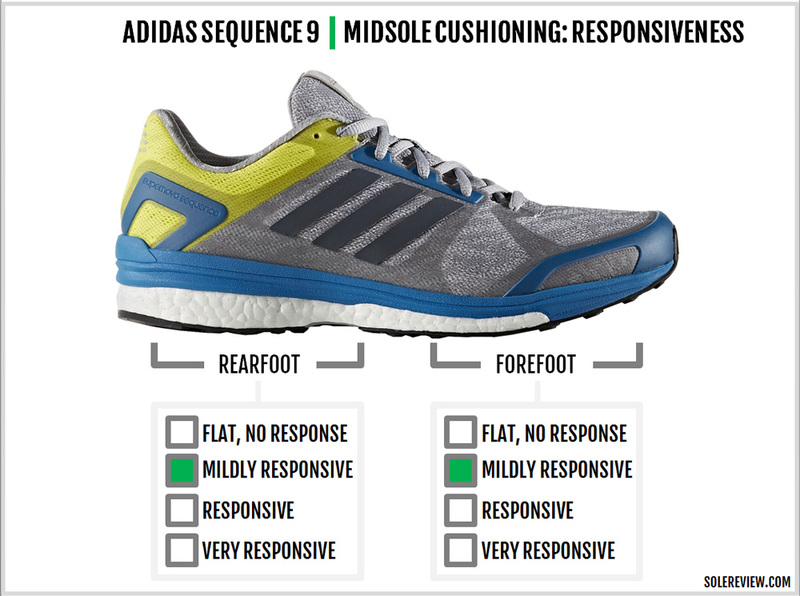 The Sequence is somewhere in between the traditional medial post and modified cushioning approach. The midsole does have a firmer medial side, but it isn’t fashioned in the traditional way. The new upper design is a major revision over the Sequence 8. Nearly all the upper materials and components are updated for the Sequence 9, and you’ll be hard-pressed to see carry-over parts, if any. The upper mesh is brand new. Compared to the somewhat winterized closed mesh used on the Seq-8, the material on the Sequence 9 is softer. 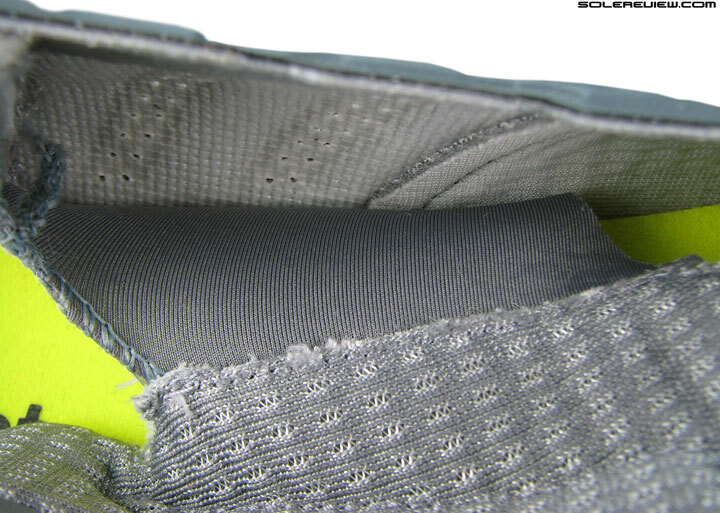 Inside the shoe, the mesh lining has been updated too. 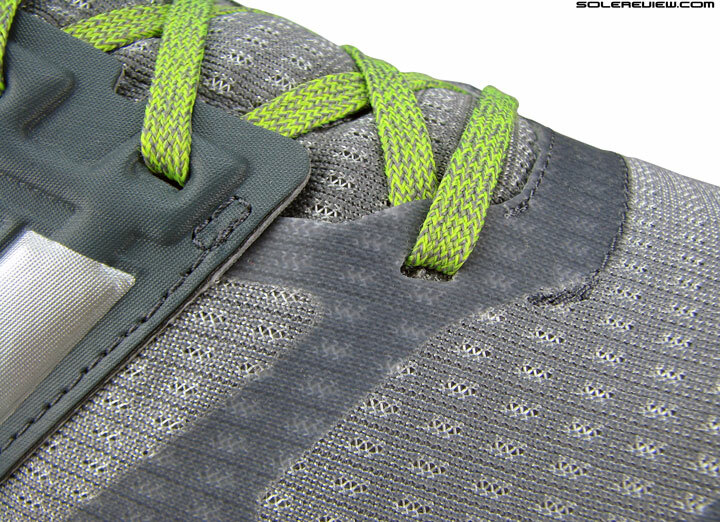 Both the tongue and heel collar lining now feature a new variety of fabric. While the Sequence 9’s entire upper packs a lot of new changes, the midfoot area gets the maximum share of design tweaks. In a surprising move, adidas has removed the inner sleeve attached to the tongue. Until this point, both the Glide and Sequence Boosts had internal sleeves connecting the tongue edges to the upper base. That said, focusing just on the removal of the sleeve will be an unfair, one-sided perspective. 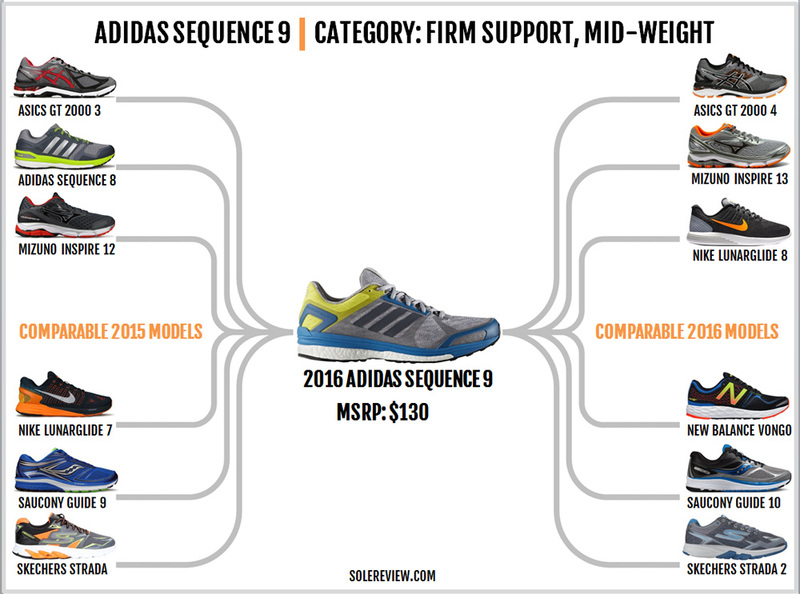 Because on the Sequence 9, adidas gives and takes in equal measure. There might have no sleeve, but the latter’s absence is compensated by a complete design overhaul of the tongue. To begin with, the tongue is much wider when measured from side to side. The wide tongue means that the pointy flap ends are now a thing of the past. In its place is a full-width component which reminds us of ultra-wide Mizuno tongues. We have noted in the past that Mizuno shoes don’t have a lot of tongue slide, regardless of their sleeveless construction. The reason for that is the wide tongue design. After all, the tongue needs to slide into excess upper space, and a wider flap reduces open space on either side. Since the Sequence 9’s upper now comes with a wider tongue, the extent of slide is not acute. Among other things, the tongue is softer and feels longer. The soft part comes from the new materials used, and also the way the lining extends over the tongue edge. This design is better than the Sequence 8’s, where the tongue and lining were seamed edge-to-edge. We don’t believe the tongue to be actually longer; it just feels so because of the latter’s increased range of motion. The lack of sleeve tethering sets the tongue free, and the softer construction makes it easier to stretch over your foot. The laces are switched from flat to round. At a functional level, it makes no difference at all. 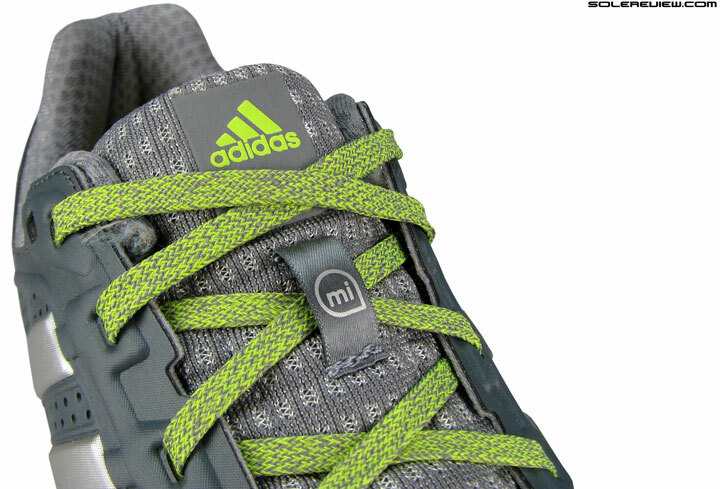 Unlike some of the other brands, adidas’ flat laces were non-elastic. There’s been a massive decluttering of midfoot design. The Sequence 9 does away with the entire synthetic midfoot panel, and in its place deploys a suite of no-sew laminates and fused urethane. 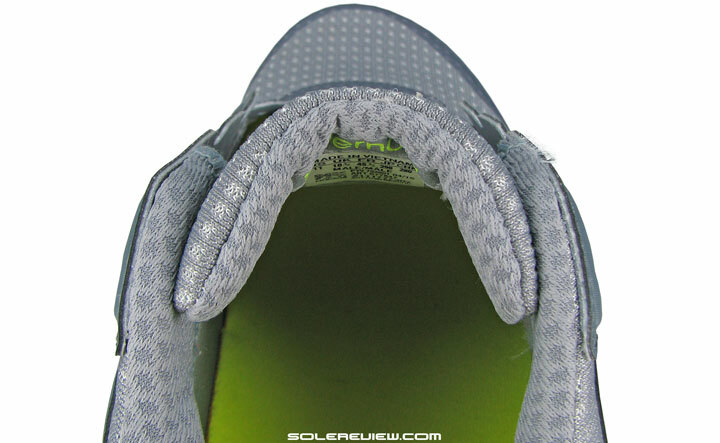 If there’s any synthetic, it’s in the form of a midfoot band – but only on the arch side. This semi-floating piece of synthetic connects the midsole edge and the lacing area, making the medial midfoot upper more supportive than the lateral side. Fused urethane pieces have been used liberally on the Sequence 9. The toe-box is reinforced by a stiff urethane bumper with side windows, and the external heel counter has hues of the Sonic Boost’s design. Complementing the midfoot band is a urethane frame – again, only on the medial side. The urethane forms a box-like structure around the midfoot band, and connects the midsole edge and heel counter to the lacing. The lateral side is much cleaner. Only the lacing panel has a single urethane strip, and the rest of the hard material is used to create the adidas three-stripes logo. Last year’s Sequence 8 had transparent, laminated layers over the mesh. The 2016 Sequence 9 further extends the use of laminates to replace sections previously covered by synthetic leather. The synthetic laminates support the midfoot and forefoot area. This also means that the stitching which was a part of the Sequence 8’s midfoot panel no longer exists. 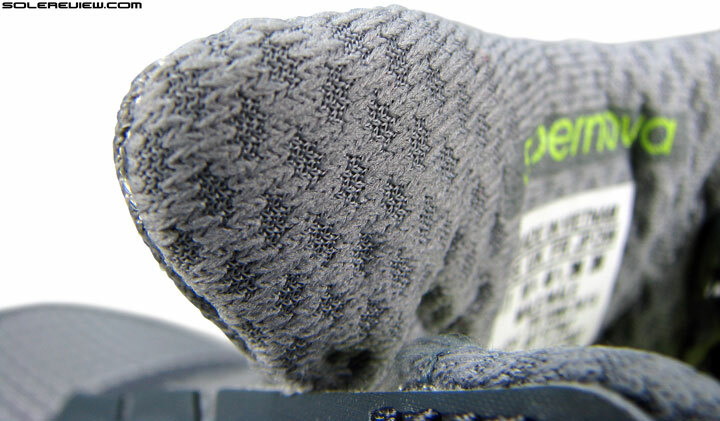 Lastly, the heel collar gets a new soft lining with plenty of foam packed inside. All this change seems to be leading up nicely to adidas’ supply chain goals. The German brand opened a ‘Speedfactory’ in the United States recently, with the objective of manufacturing products locally. Footwear design aspects such as fused layers and laminates are less labor intensive than traditional cut-and-sew methods. The new design strategy – along with other methods such as Primeknit – is better suited to semi-automated factories being run by a smaller workforce. Ever since Boost tech made its debut, the midsole aesthetics have been frozen in time. That’s because of a couple of reasons. 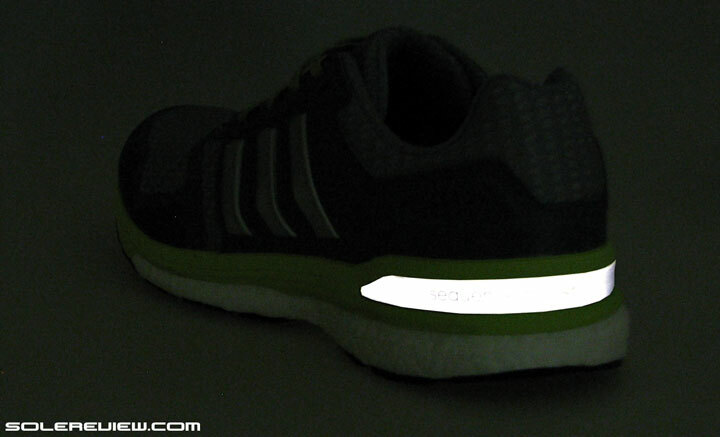 We assume that adidas hasn’t started offering colored Boost midsoles for technical reasons. Ever since its launch, Boost has been white throughout from heel to toe. 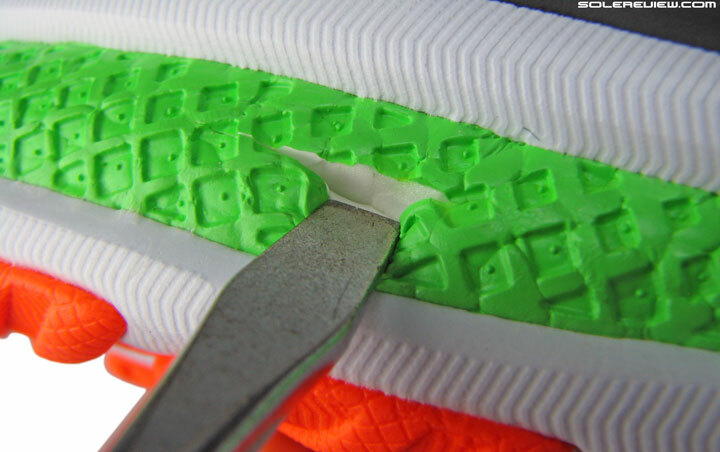 The fact that Saucony is doing it with its Everun parts is a different subject altogether. Saucony only paints the surface; inside Everun is white too. An EVA foam component usually makes an appearance alongside Boost foam. On the Glide Boost, it is in the form of an EVA rim. 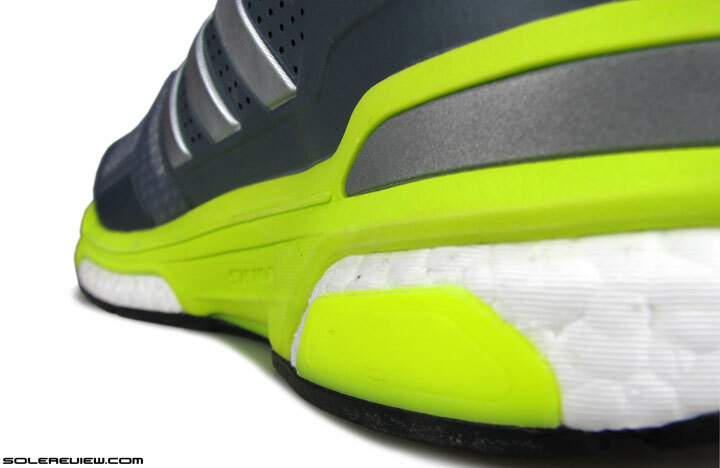 On the Sequence 9, a firmer EVA part covers the top and medial side of the Boost midsole. adidas calls this EVA part on the Sequence ‘Stableframe’. It fills up the arch/medial side of the midsole, making the section firmer. This is different from how conventional medial posts are designed. 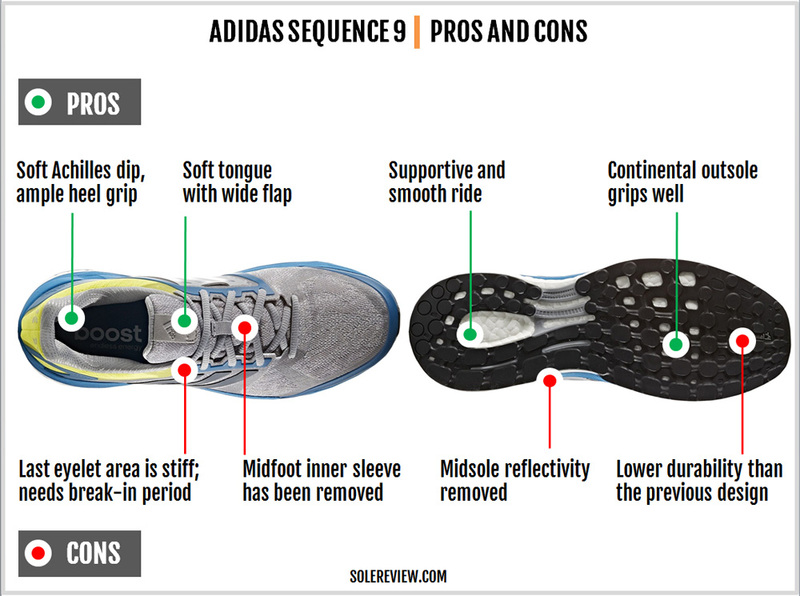 Because the Sequence 9’s medial heel has exposed Boost foam, which is only supported by an extension of the plastic shank. 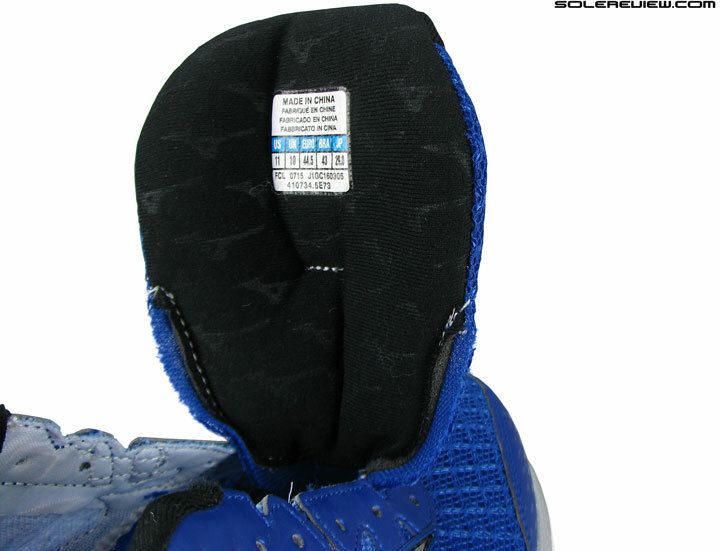 The Sequence 9’s midsole might look identical to the 8, but it isn’t. Remember the huge reflective heel piece on the Sequence 8? Well, no more of that shiny brilliance. The heel midsole walls are slightly lower than the Sequence 8’s, and reflectivity is now limited to thin strips on the upper heel. 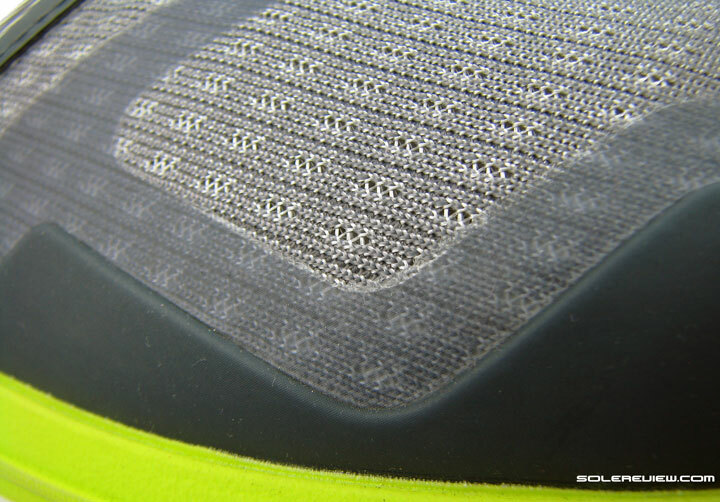 Although the new midsole sidewall looks less bulky, the stack heights are identical to the Seq-8. The midsole maintains the 32 mm heel and 22 mm forefoot thickness to result in a 10 mm offset. 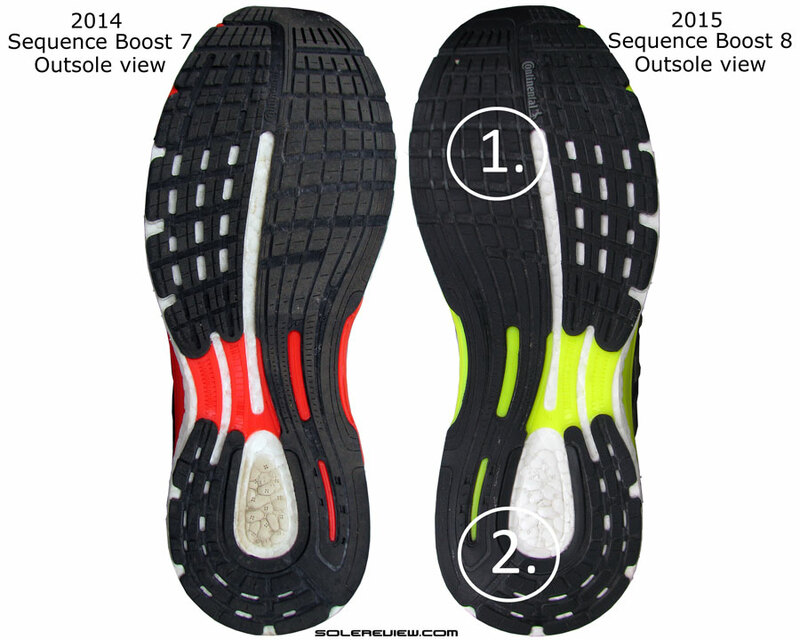 Many of you might have noticed the running change made on the Glide Boost’s outsole. The tried and tested, insanely durable outsole has been replaced with a webbed layout which adidas markets as Sprintweb. This outsole design language is used on the Ultra Boost ST too, but the Sequence’s rubber is much harder than the Ultra’s. There aren’t many potential issues on the SB 9. That said, a few areas need monitoring as you gradually clock up those road miles. If you’ve been using the older Glide or Sequence Boosts, then you will realize that the new outsole design has lower durability. Initial wear and tear will come faster than the previous Continental design, which just illustrates the point that not all Continental outsoles are built alike. The Sequence 9 is still durable because both the forefoot and heel use a hard variety of rubber. This design differs from that of many other brands, which use a softer rubber type under the front. Secondly, the new Sequence uses a lot of urethane pieces. While the toe-bumper, heel, and the eyestay will likely be a non-issue, the urethane box on the medial side is located in a flexing area. The urethane strip located near the forefoot can fail over time, peeling off from its base layer. For the most part, the Sequence 9’s redesigned upper does a good job of wrapping the foot. The toe-box fits well, both vertically and sideways because of the molded bumper. The upper fit loses some of the stiffness which the SB-8 came with, especially with the midfoot getting rid of the bulky synthetic set-up. 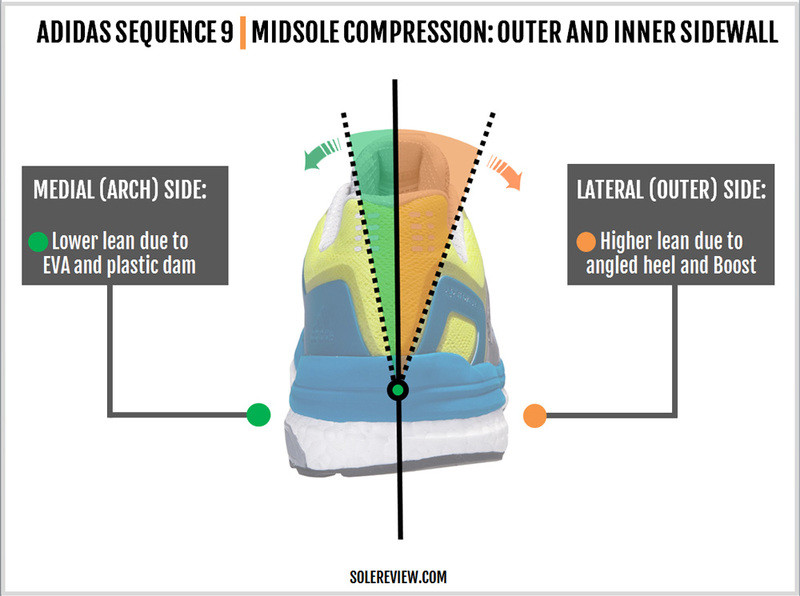 While the lack of an inner sleeve eases up the midfoot fit, the synthetic band results in the upper fit pressure being biased towards the arch side. The new tongue affects the midfoot fit too, with its plusher and wider construction making the interior environment more comfortable. Back in the rear, the well-proportioned collar fits well without any hot spots. Only the top eyelet feels stiff enough for the Sequence to require a break-in time. On the Sequence 8, the last eyelet was even stiffer due to the multiple layers of materials stacked together. 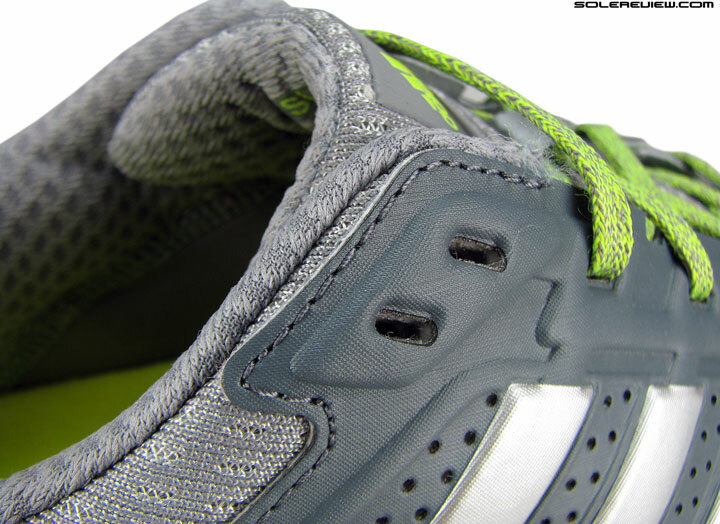 The lacing top-down pressure was higher on the SE 8 compared to the 9. Since the Sequence 8’s tongue was narrower, it did not insulate the lacing pressure well enough as this year’s Sequence 9 does. The sizing of the Sequence 9 fits true, meaning that most people would not require either going half a size larger or smaller. The upper fit is a bit snug, but far from tight. There’s enough space around the big toe, with the bumper fit turning snug around the small/pinkie toe. 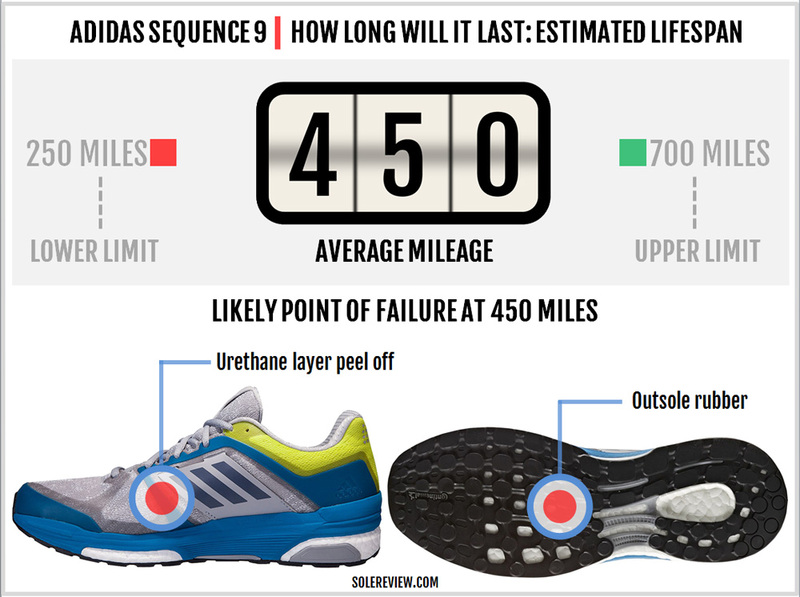 We have absolutely no idea why adidas does not offer optional widths in most of its running shoes. What if some runners wanted a little more space than what’s available in the snug Sequence? adidas doesn’t need to offer four widths à la New Balance, but just two will do – a regular D and a 2E (wide). 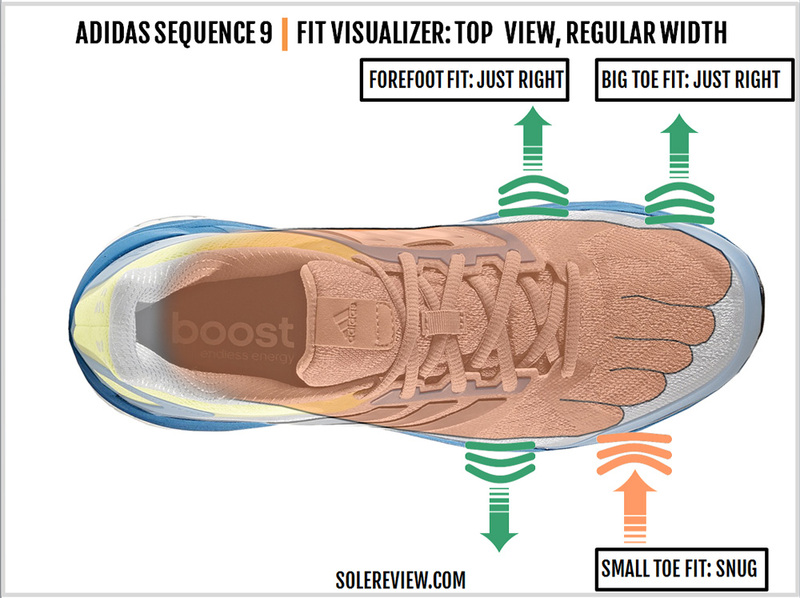 adidas has done well to make the Sequence 9’s forefoot section softer. 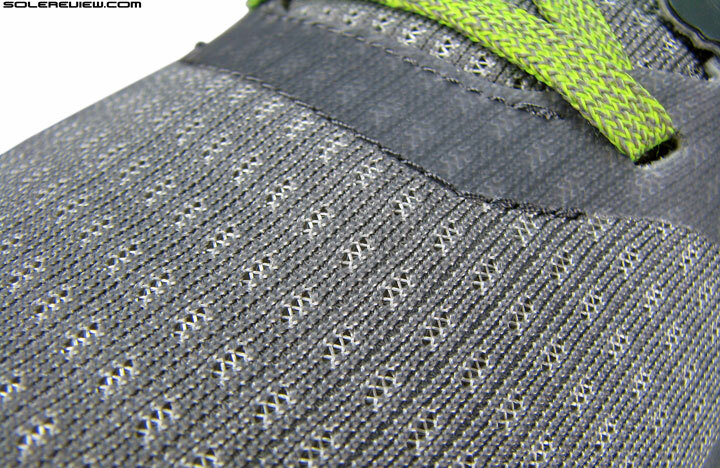 Of course, there’s the softer mesh material doing its job, but this year the area connecting the first two lacing eyelets is not laminated. The Sequence 8 did, which made the front of the lacing area stiffer. As a result, the Sequence 9 has a smoother flexing behavior over the Sequence 8. Also, the forefoot sides no longer have the thick urethane welding of the SE 8. That too helps make the forefoot fit more relaxed than the older SB 8 design. The Sequence 9 is a firm riding shoe, no two ways about that. 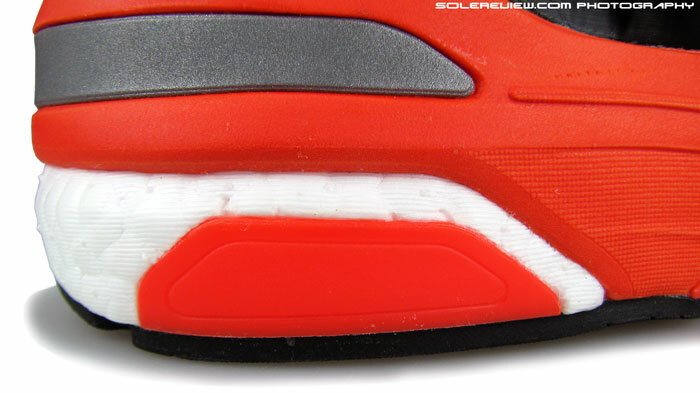 Remember, the Stableframe EVA part acts not only as a rim but also as a separate stack over the Boost midsole. This is unlike the Glide Boost, where the EVA section is only limited to the midsole edge. 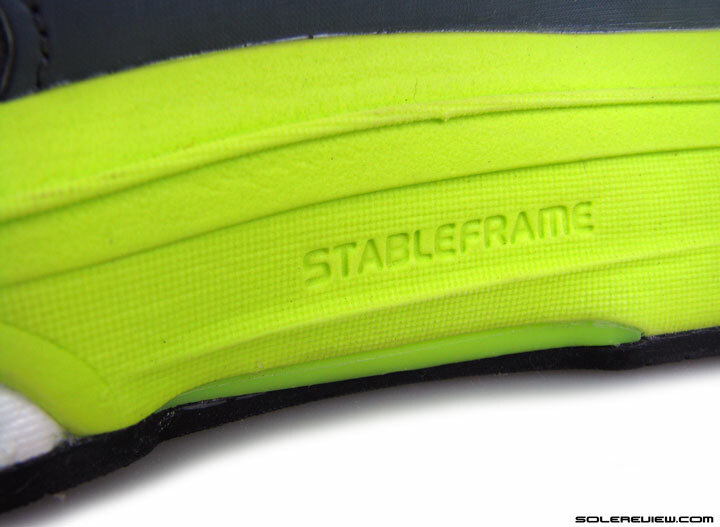 Hence much of Boost foam’s softness is filtered by the Stableframe’s firmness. And that’s how it is meant to be on the Sequence. 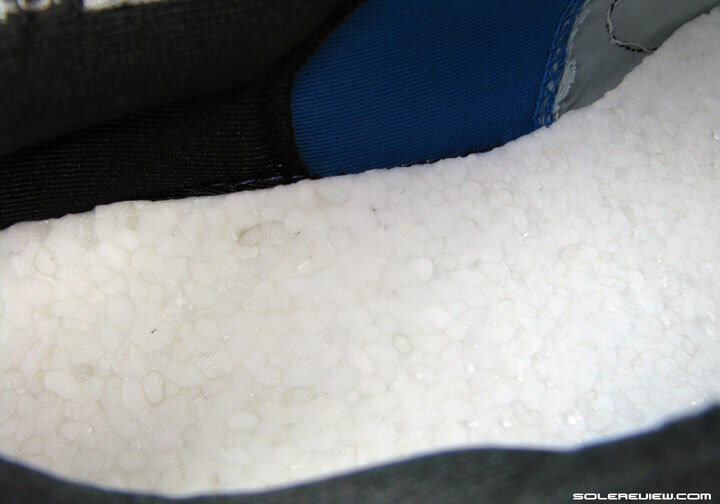 Any initial softness comes from the chunky foam insole placed over the midsole. 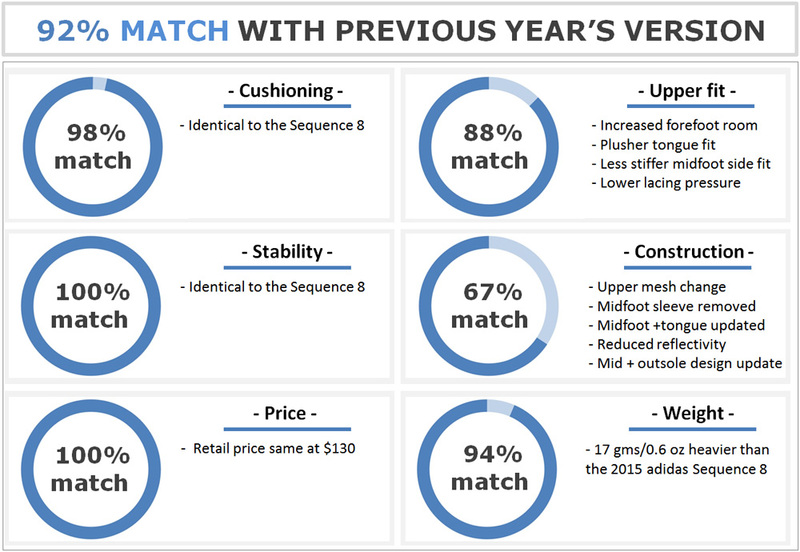 At an overall level, the ride softness (or firmness, if you will) is identical to the last year’s Sequence 8. 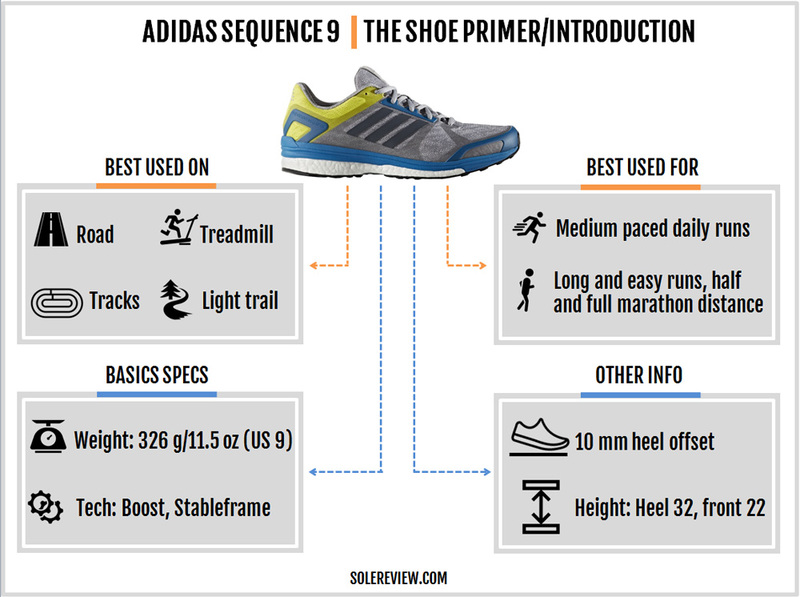 The Sequence 9’s ride is mildly responsive, for the same reason that the cushioning is firm. Since the Stableframe component overlays the midsole, the responsive properties of the Boost foam isn’t as accessible as on the Glide or Ultra Boost ST.
A higher level of responsiveness is only delivered at increased speed and greater step cadence. At slower paces, all you’ll get is a mild hint of spring-back behavior. The stability level is the same as the Sequence 8. The medial midsole is firmer than the lateral side due to Stableframe, and when you combine that with the beveled (angled) heel edge, the rearfoot has a laterally biased cushioning. That said, that bias never goes overboard. After all, even the medial heel side of the midsole has exposed Boost foam contained by a partial extension of the plastic midfoot shank. So there’s a good cushioning balance at work here. Since there’s a consistency of material throughout the midsole and outsole length, the transitions feel seamlessly connected. While the Sequence 9 isn’t a shoe built for fast runs, you’ll discover that it is no slouch either. The Sequence 9 carries over a lot of the goodness which the Sequence 8 had. The ride is supportive without feeling lopsided, and the outsole grip performs above the industry average. Parts of the upper have improved over last year, such as the reworked design of the midfoot and the choice of mesh. As a result, the upper feels softer and more relaxed than the Sequence 8. The new design isn’t without its functional downsides. The new outsole is less durable than the previous Continental geometry, and some runners will miss the inner midfoot sleeve from the Sequence 8. And for those using the Sequence 9 in low light conditions, the humongous level of heel reflectivity will be sorely missed. All that reflective goodness on the Sequence 8’s heel has been cut down to a few bits fused to the mesh upper. The Tempo Boost 8 is a lighter, firmer and faster version of the Sequence 9 Boost. Though the Tempo is the shoe to rotate along with the Sequence for faster running days, you can also consider the Boston Boost if more cushioning (than the Tempo) is what you’re looking for. 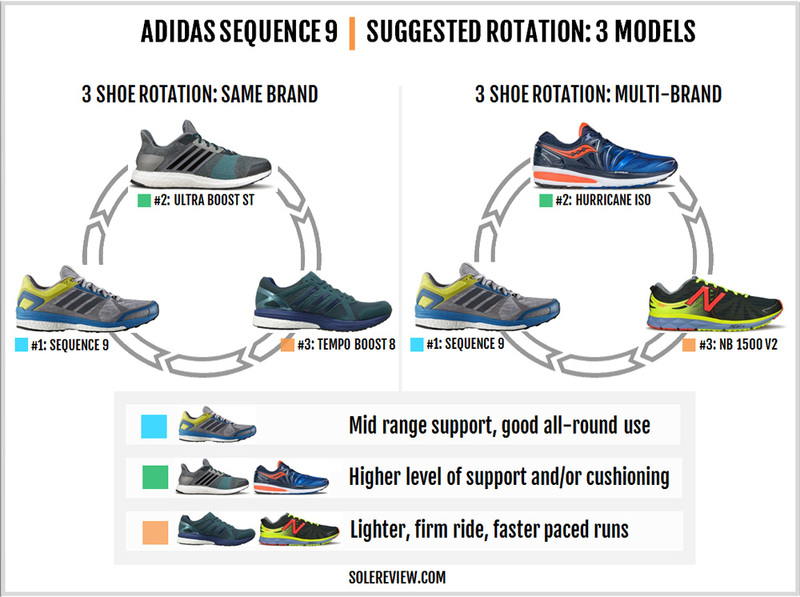 Even the much lighter adios 3 Boost is an option; even though both the Boston and adios do not have the Stableframe midsole, they are supportive enough. 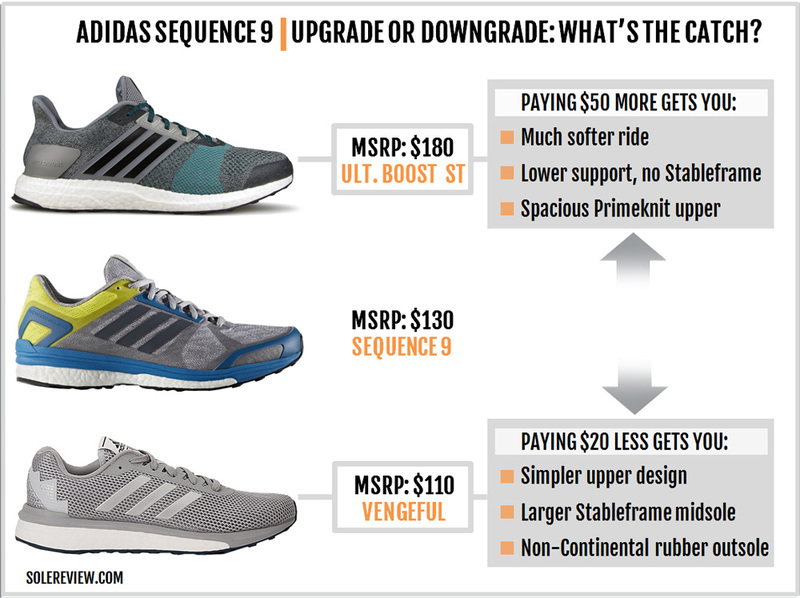 Adidas’ stability offering at higher price bands is limited. While the Ultra Boost ST is pitched by adidas to be a stability shoe, its ride manners bear a close resemblance to neutral shoes. As a matter of fact, instead of the Ultra Boost ST, you can consider the Glide Boost. Yes, it is marketed as a neutral shoe, but comes with a very supportive ride. It’ll also give you an extra dose of the Boost cushioning without being mushy. And just in case you were wondering – don’t worry about the whole stability-neutral classification. Your hunt outside the three-stripe world will yield more than a few alternatives to rotate alongside. On the more cushioned side (and expensive) scale, you have the Saucony Hurricane ISO 2. We recommend this model over others because the Hurricane uses Everun – a material which is similar to Boost. 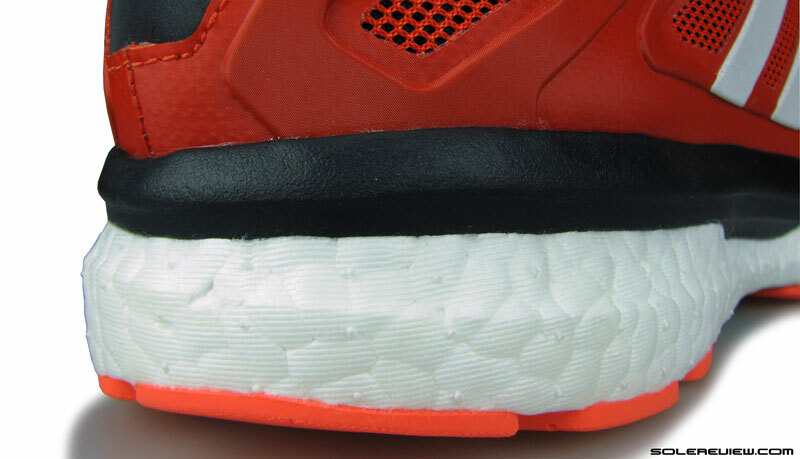 While the Hurricane’s midsole is not entirely made of Everun, its ride is accented with similarities to the Boost foam. The New Balance 1500 V2 is the obvious choice as a faster companion to the Sequence. The 1500 V2’s upper has a very evenly spread fit quality, and the midsole has great feedback. The ride hasn’t changed much. To be more specific, the level of cushioning and support stay the same. Most of the newness is literally fused into the upper, with the midfoot and forefoot ending up with an easier fit. After all this, one would assume positive gains to be made on the shoe’s weight. But that isn’t the case. The new Sequence 9 is heavier by half an ounce versus the Sequence 8. At a lower sticker price of $110, the adidas Vengeful is positioned as a tiered-down version of the $20 more expensive Sequence. It features a midsole with a larger Stableframe, making the medial side harder than the Sequence. This isn’t necessarily a good thing, as the mismatched foam densities produce an unstable ride. Pay a whopping $50 more for the $180 Ultra Boost ST, the unofficial (and vastly different) replacement for the adistar Boost. While the Sequence and ST are shoes from the same cushioned-support club, the two are like apple and oranges. The ST does not have the Stableframe or a structured upper. 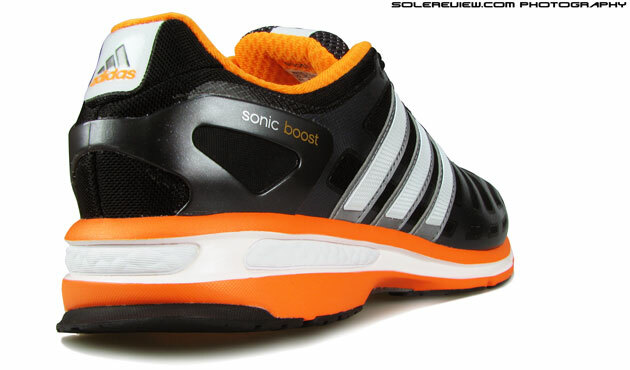 What it has is the cool looking, and roomy Primeknit upper combined with a large volume Boost midsole. And did you notice something? Higher the price, smaller the size of the medial post. 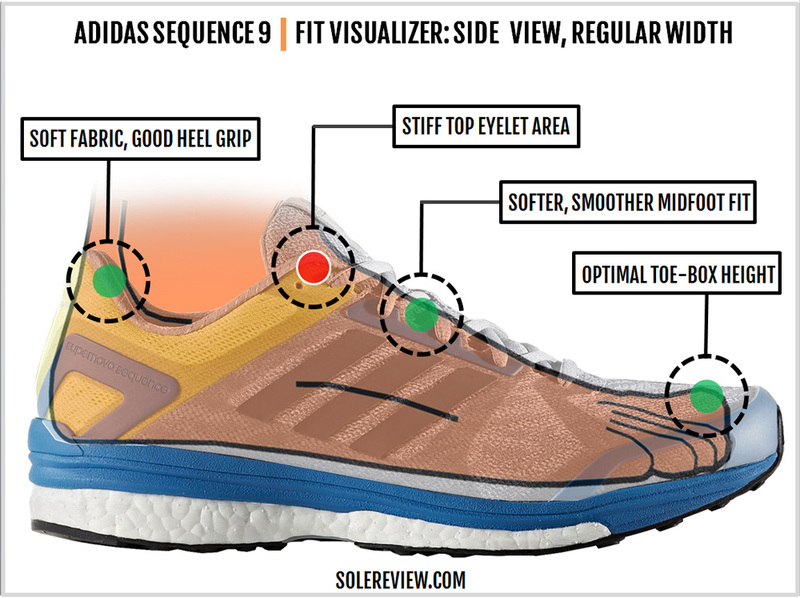 The Ultra Boost ST has a smaller medial component than the Sequence, which in turn has a smaller Stableframe than the Vengeful. So the functional upgrade is somewhat counter-intuitive; the more you pay, smaller the component. It’s funny how the whole running shoe business works sometimes.